We are not on the same page in a whole lot of things – just as each normal couple, I guess 🙂 – but there’s one thing we completely agree on for: Zakynthos is the most beautiful of all of the beautiful Greek islands we’ve seen so far! We’ve been to Greece a couple of times, we love that country, we even decided to spend our honeymoon there, and every time we go it enchants us. But we haven’t seen so crystal clear, magically blue bays and perfect beaches in any other parts of the country or on its islands than on Zakynthos (or Zante in English). 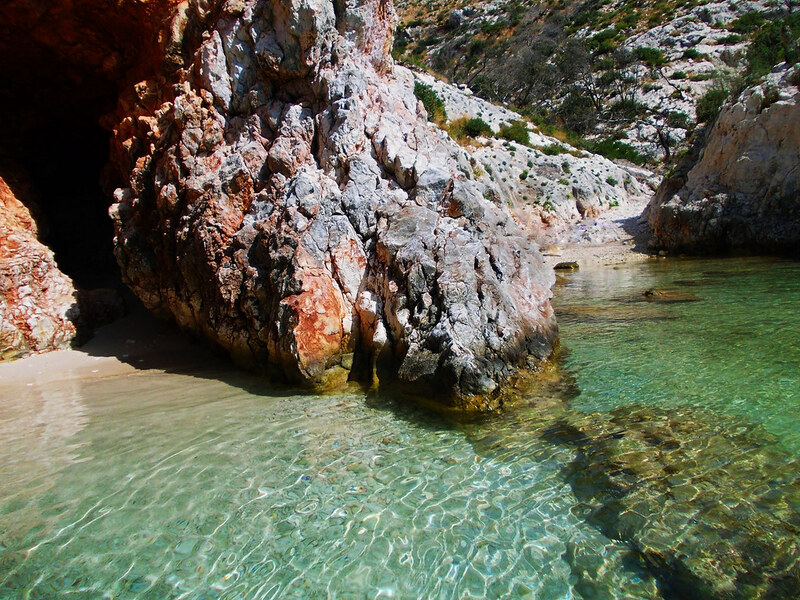 This little island in the Ionian Sea is a real treasure – there’s not much cultural things to see and do here, but the unspoilt nature is unbeatable. 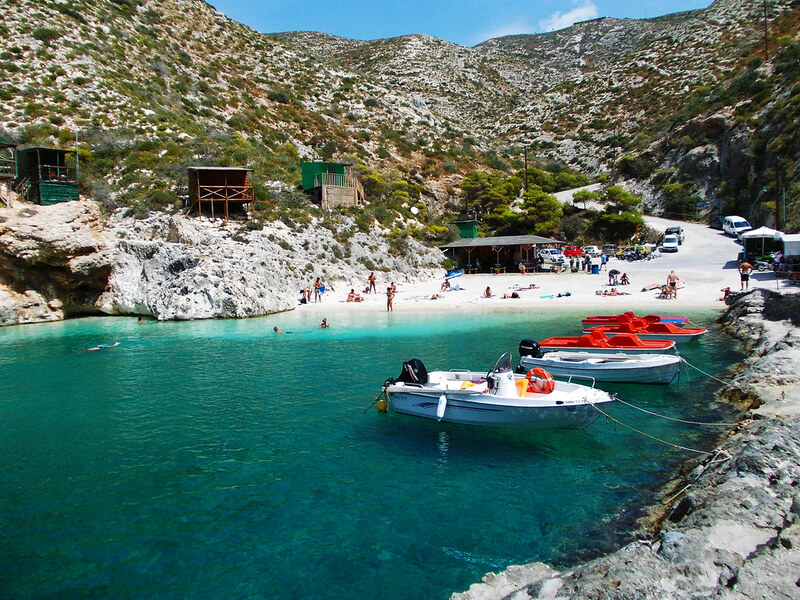 The most special beaches are the hardest to access as they are only accessible by boat. But that shouldn’t stop you: there’s tons of boat tours organized, everyone can choose the ideal length, destination and cruise type for themselves. We’ve been on two different boat tours and those two days were our best on the island. 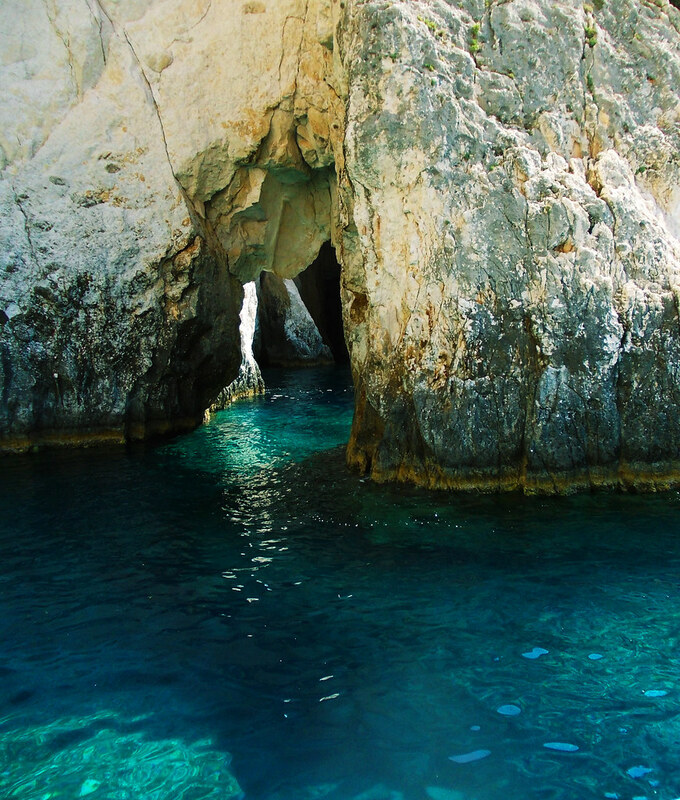 One of our boat tours was a tour from Porto Vromi to Navaggio Beach. 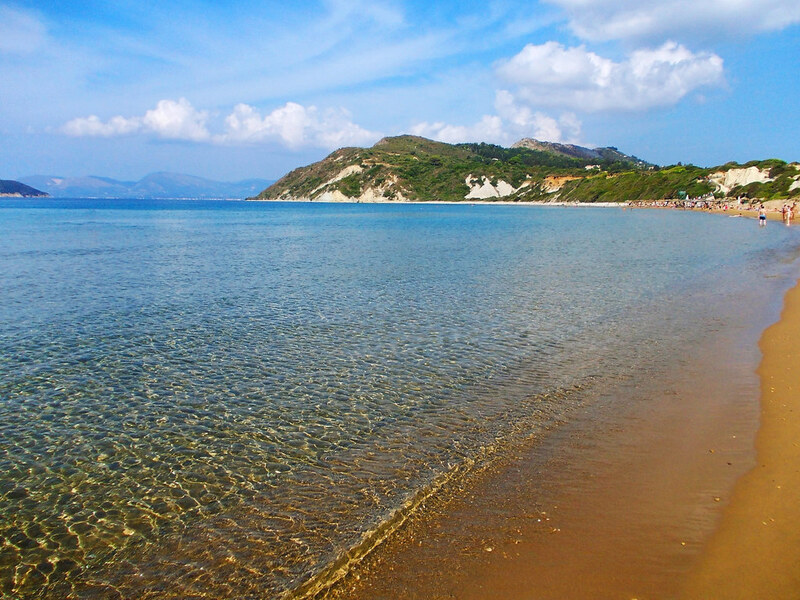 This beach – sometimes also called as Shipwreck Beach – is a MUST for everyone visiting Zakynthos. 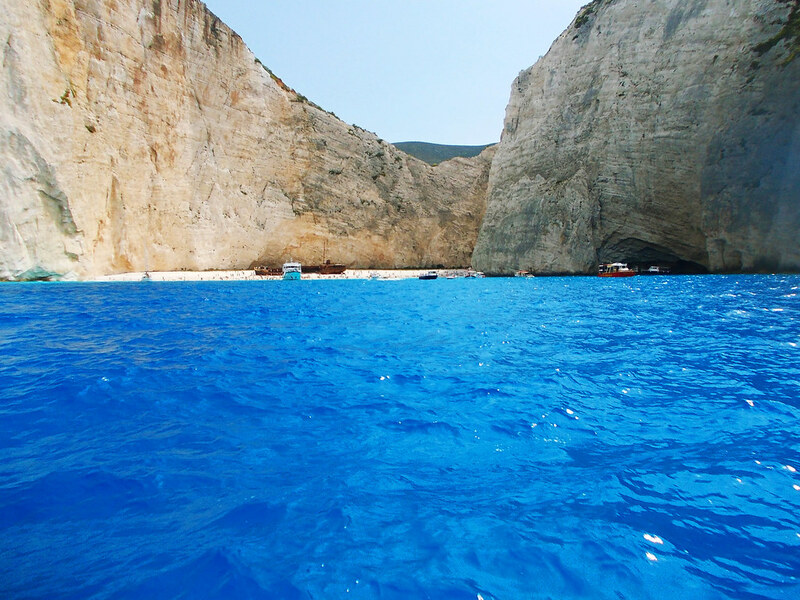 White pebbles make the color of the water the most perfect azure blue we’ve ever seen in our lives! 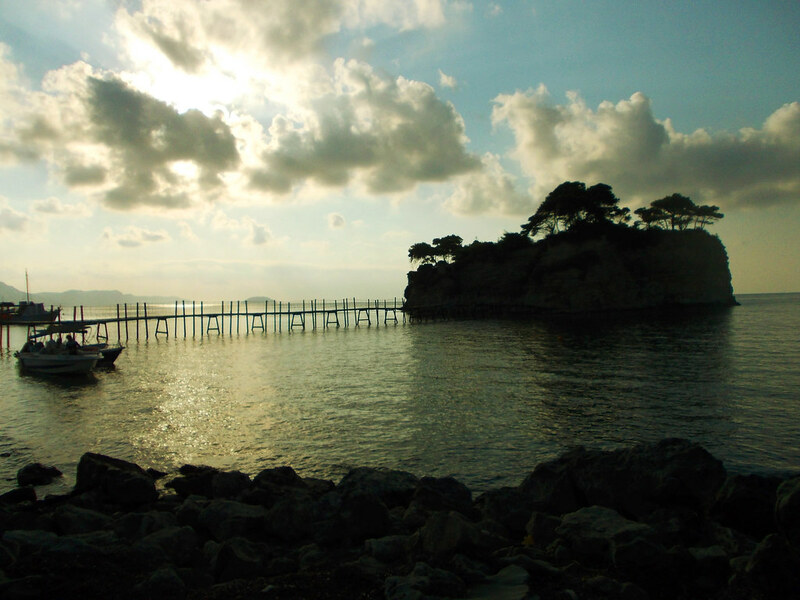 And there’s a shipwreck on the beach, too, by the way, but that’s nothing compared to the scenery. 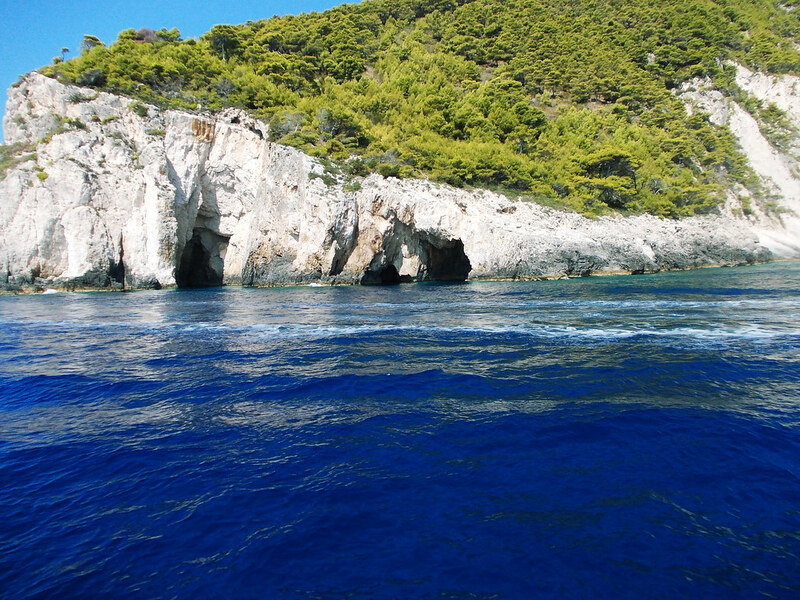 The other boat tour we chose was from Laganas to Keri Caves and Marathonissi Island. Views of the coastline and the water caves and other rock formations were incredible and we had the opportunity to go into the water from the boat twice along the way. Gerakas Bay on the south peninsula was another favorite of us: unspoilt, turquoise bay with golden sand and beautiful scenery. What else can I tell? Beautiful sandy beaches like Banana Beach, Tsilivi or Alykes seem like average on this enchanting island. Another special thing about Zakynthos is that this is the only home of the huge Caretta caretta turtles. 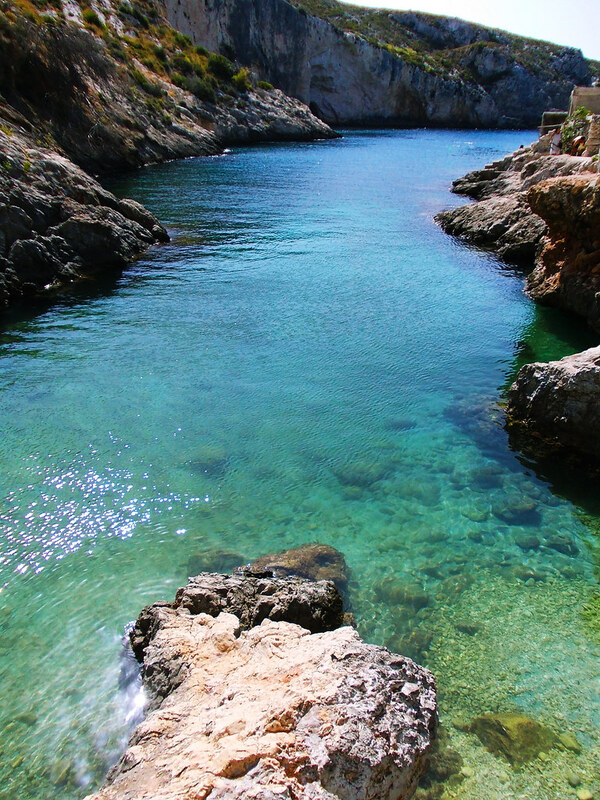 They can be found in Laganas Bay, Gerakas Bay and near Marathonissi Island. And they can really be found – we swam with one in Laganas Bay! Oh, by the way: another pleasant surprise for me about Laganas Bay was that its shallow water was so warm! Also, the time we were there, there was a fisherman in Laganas who fed a huge turtle named Sapphira every morning around 7 am at the harbor. Curious tourists could take a close look at her and even pet her if they wanted. 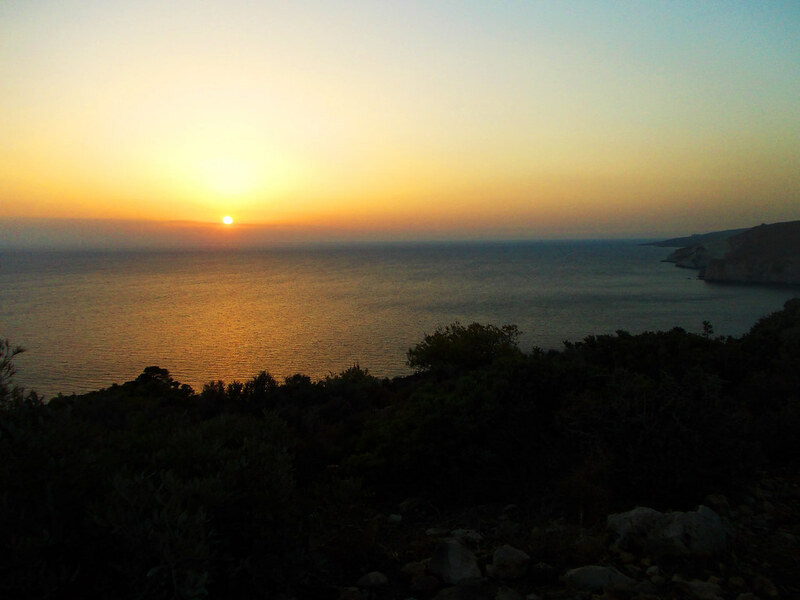 Keri is known as the best sunset spot on the island and you can really have a perfect sunset view if the weather is clear – we weren’t so lucky, but the colors were still beautiful. We visited Zakynthos in the first week of September and our view is that early September is the best time to visit: it’s still perfect summer weather, but without the summer crowd and high season prices – actually, this applies to other places in the south part of Greece as well. But, of course, the whole summer should be perfect beach weather there. 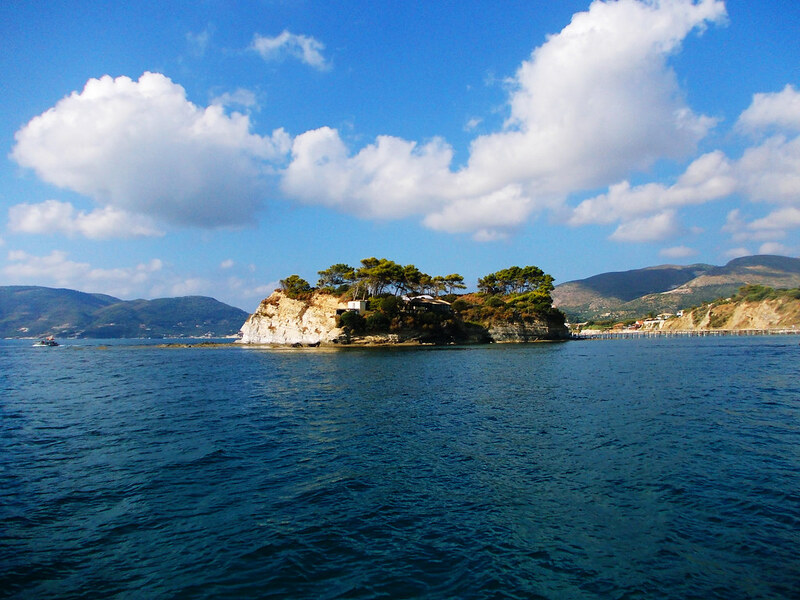 Do you have a favorite Greek island? No ship is allowed to spend more than 1 hour at Navaggio Beach, so whatever tour you choose is longer, that should include something else, too, but the time spent at Navaggio won’t be different for different tours. 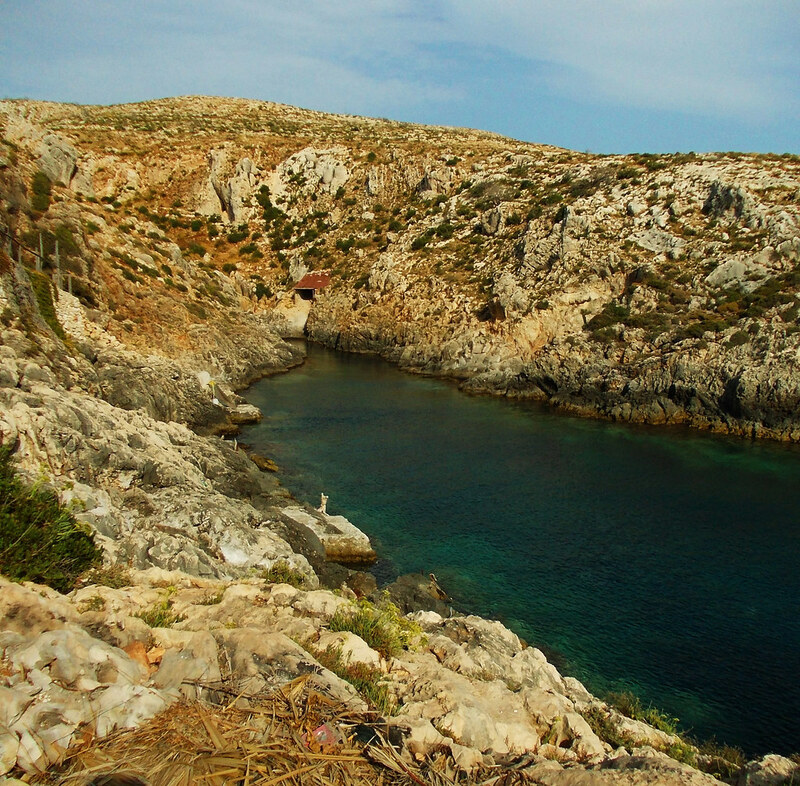 Oh, and of course, Navaggio is only accessible by boat. Boat tour reservation shouldn’t be a problem even in last minute. We didn’t reserve anything for Navaggio, just drove to Porto Vromi and signed up for an upcoming tour – there’s bunch of them. For Keri Caves we reserved a tour the previous evening at the harbor. Greek people in general don’t really speak English, but tour organizers do, so it shouldn’t be a problem to find something you want when you are actually there.